WASHINGTON — New data concluded that in addition to providing physicians with useful data, the Brain Sentinel Seizure Detection and Warning System identified generalized tonic-clonic seizures (GTCS) within 14 seconds of onset, as compared to their motor generalization onset by video electroencephalography (vEEG). The study was presented at the 2015 American Academy of Neurology Annual Meeting in Washington, D.C.
Cavazos and colleagues conducted the phase III, prospective, double-blind controlled clinical trial to determine the efficacy of the Brain Sentinel GTCS detection system vs. the gold standard of vEEG detection. The Brain Sentinel system continuously records EMG data for post-hoc analysis of all motor events, as well as identifies and archives motor activity during GTCS. According to Cavazos, the EMG device used in the study is discreet and easy to wear, weighing only 6.5 ounces. 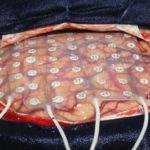 For the study, epilepsy monitoring units from 11 National Association of Epilepsy Centers Level IV Epilepsy Centers participated and 171 patients (62% women) with epilepsy were enrolled, equating to more than 7,800 hours of simultaneous EMG and vEEG data. Results indicated that the detection device was able to identify GTCS within a mean of 14 seconds of vEEG diagnosis, with a 100% positive agreement (95% CI, 85-100) of vEEG monitoring among patients with proper placement of the device. 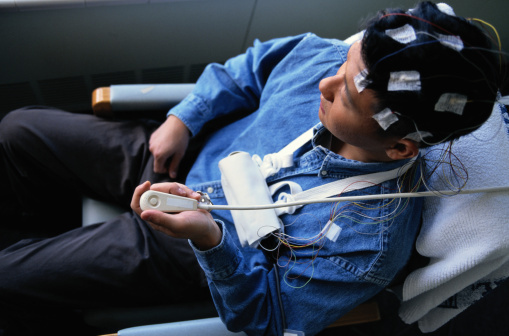 The EMG recording was also found to be a useful modality for neurologists in the evaluation of motor manifestations arising from GTCS activity or other motor-related events, according to results. Cavazos JE et al. Abstract I6-4B. Presented at: American Academy of Neurology Annual Meeting 2015; April 18-25, 2015; Washington, D.C.